Service Contracts to save you money! 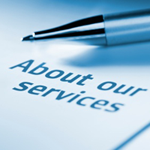 Service Contracts - providing scheduled service to maintain heating and cooling unit's efficiency and energy savings. Includes labor for any repair calls other than the preventive maintenance visits. Plan 3 includes labor and material for all repair calls and preventive maintenance.Â Prices vary according to equipment and accessories call for pricing. All systems must be running properly before a Plan 2 or 3 can be purchased. We will maintain, clean, inspect all your heating and cooling systems to the manufacturers and Brewers high specifications in order for you to get the most efficient and energy conserving use of your systems. Our service contracts will save you money by having all your systems run at peak efficiency and we will also help to extend the life of your unit. You will save much more in the long run than it will cost to maintain your systems through our factory trained technicians. Systems will be checked both before and during each heating and cooling cycle to maintain peak performance.